Are you ready for a soul nourishing mandala drawing and interpretation session with five of your pals in the comfort of your own home? 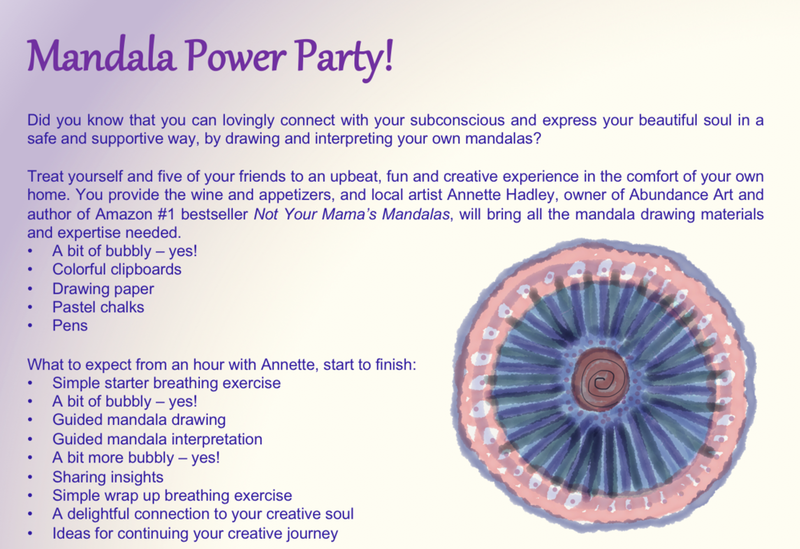 As a trauma survivor and thriver with more than 100 hand drawn pastel mandalas to her name, Annette offers clients a uniquely creative "Not Your Mama's Mandalas" experience. It's simple! Pay here, then schedule your party date and time below. You can learn more about Annette's mandalas and her exhibit "go slow: woman on a journey" here.